ROCKFORD, Ill. – The Rockford IceHogs cap a two-game homestand with a divisional matchup against the Milwaukee Admirals on Friday night at the BMO Harris Bank Center. Friday’s contest features a pregame party in the Blues Flame Lounge, presented by Vintage @ 501, and an IceHogs grill tongs giveaway for fans ages 21 and older, courtesy of Bud Light. Grill Tongs Giveaway: The first 1,000 fans ages 21 and older will receive a free pair of IceHogs grill tongs, courtesy of Bud Light. Blues Flame Lounge Pregame Party (presented by Vintage @ 501): Fans ages 21 and older can kick-off their weekend festivities with a Pregame Party at the Blues Flame Lounge, located on the BMO Harris Bank Center concourse. Friday’s event begins with live music from Dave Hanson and Friends at 5:15 p.m., and will also feature free appetizers and happy-hour specials. 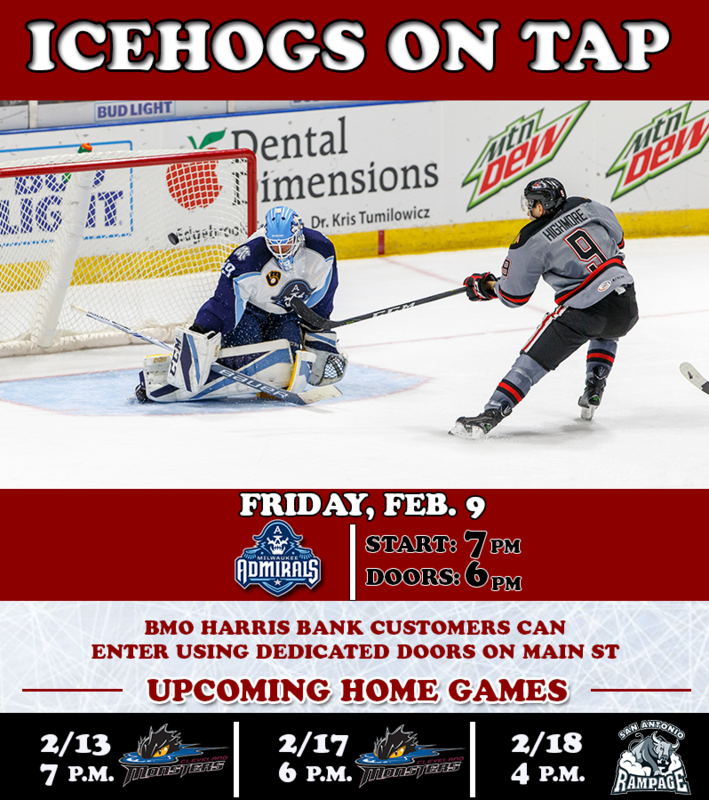 Tickets: Tickets can be purchased at the BMO Harris Bank Center Box Office or any Ticketmaster location, by phone (815 968-5222) or online at www.icehogs.com.